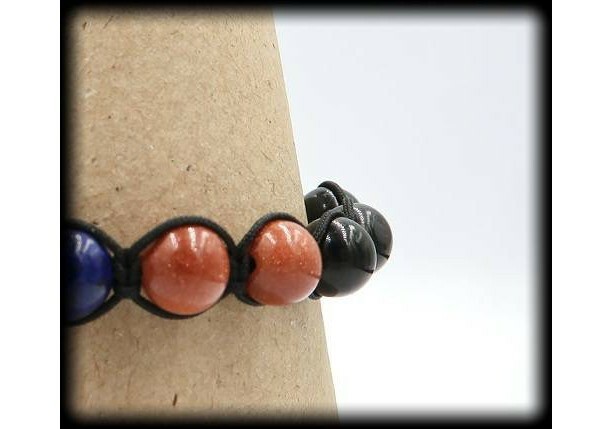 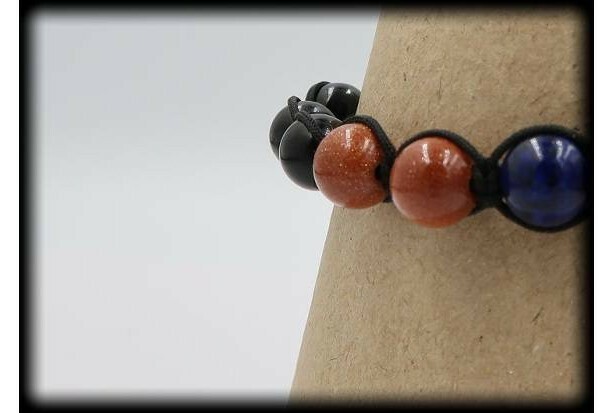 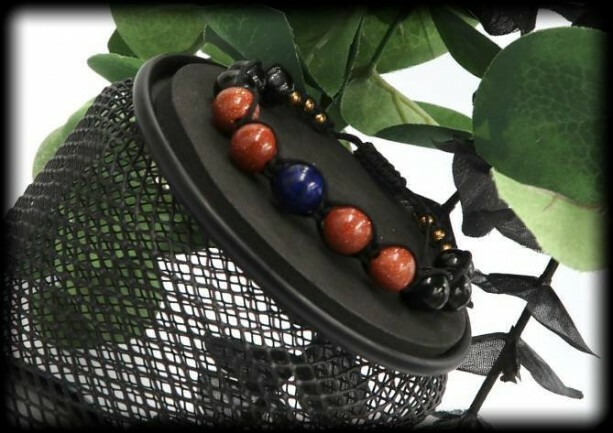 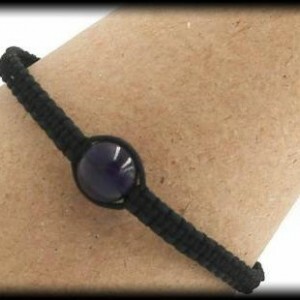 Remove negativity and take control of your life with this macrame bracelet, primarily designed with Goldstone, along with Lapis Lazuli, and Black Tourmaline. 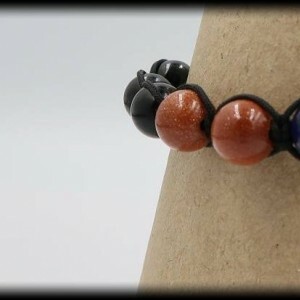 Goldstone is known as the "Ambition Stone". 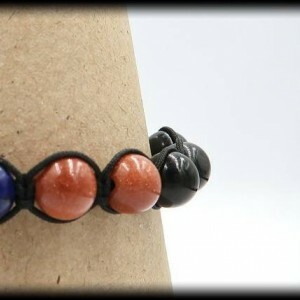 This stone will boost your drive, motivation, and confidence. 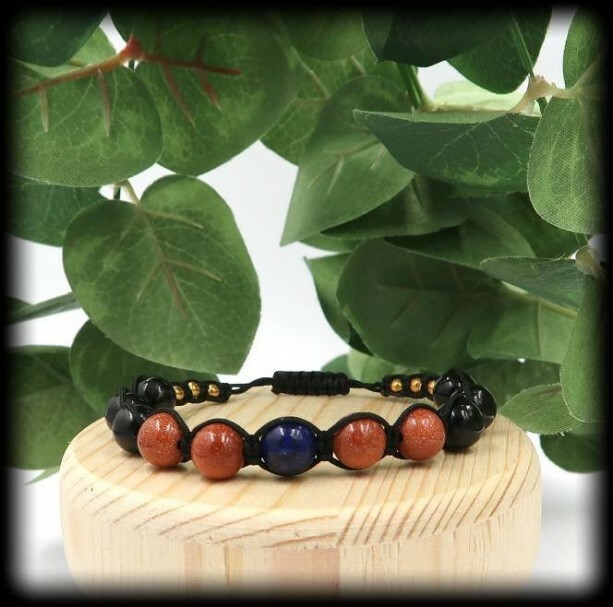 It is also attributed with the healing factors of detoxifying the body and increases physical strength. Lapis Lazuli encourages taking charge of life, stimulates enlightenment, and helps one poses enormous serenity. 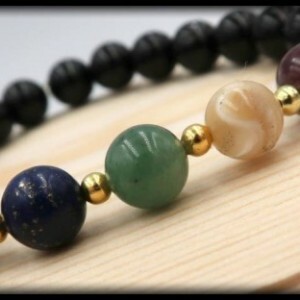 The Black Tourmaline aids in clearing and balancing the chakra system, purifies dense energy, helps diminish fears, and protects from ill-wishing. 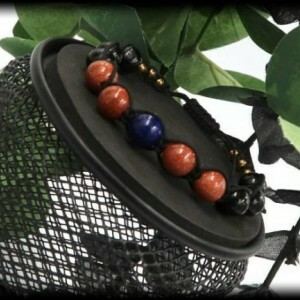 This life changing piece is constructed with 8mm beads of Goldstone, Lapis Lazuli, and Black Tourmaline.